Get on the current set with shortcuts for instant sharing. We have more than 2,100 sheets for this project, and I’m easily saving at least a few hours a week by not having to go back and forth from the office. I’m able to find the sheet I need in seconds. 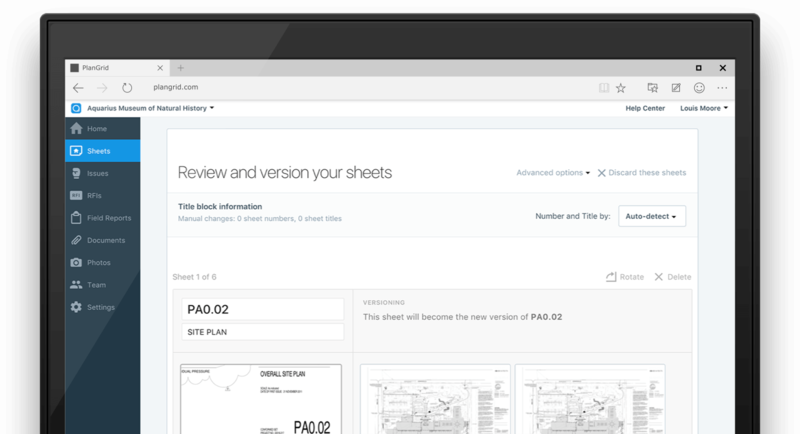 Whether you’re uploading one or one thousand sheets, you can publish and distribute them to your team in minutes. Our machine learning and OCR technology scans, links, and labels all sheets before optimizing them to load instantly on any device. Plan revisions are automatically inserted in order, so you’re always working from the latest set—without losing access to the project history. Easily slip in older versions without overwriting the current set. Detail callouts and index sheets are automatically hyperlinked, so you can jump from sheet to sheet in a single tap or click. 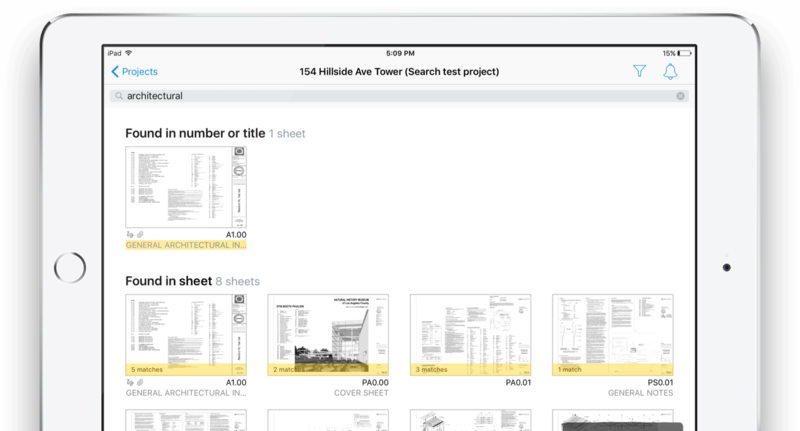 Use Search to find the right sheet or text within sheets, whether you're working online or offline. 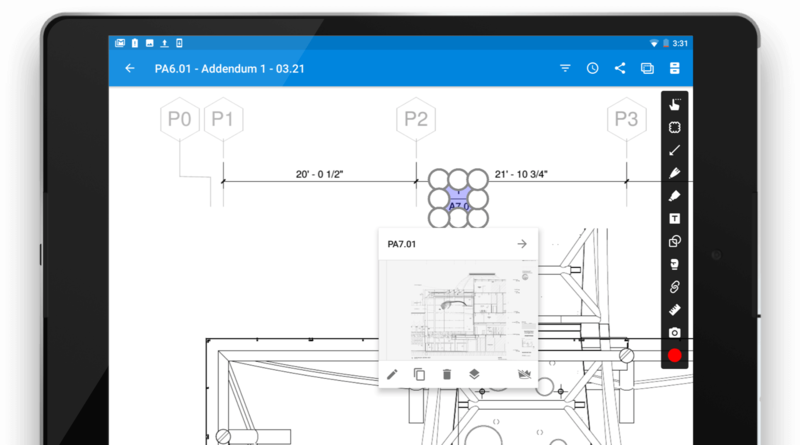 Synchronize your drawings between Kahua and PlanGrid to drive office and field collaboration. Synchronize your drawings between RedTeam in the office and PlanGrid in the field.